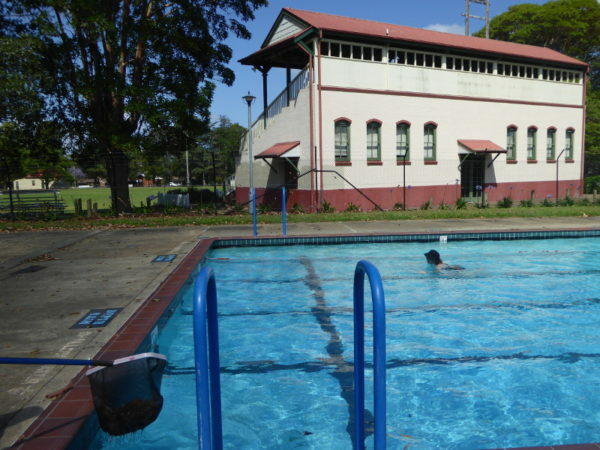 Oak Flats Pool first opened its doors on 13 November 1965. 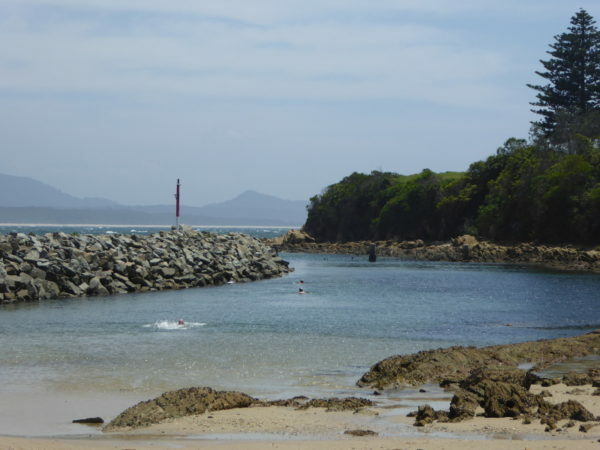 I couldn’t resist returning to Oak Flats Pool at the weekend when I heard that Shellharbour City Council were organising a bit of birthday bash to mark the 50 years since Oak Flats Pool opened. The cake was the star attraction, to be honest. A bakery in Wollongong had put together a fabulous Olympic Pool sponge, with lanes and lap swimmers in an amazing swimming pool blue (and it tasted as good as it looked). There were probably more kids queuing for cake than there were in the water, but hey, as long as they didn’t jump in on a full stomach, who cares? It was all part of the fun of the day. 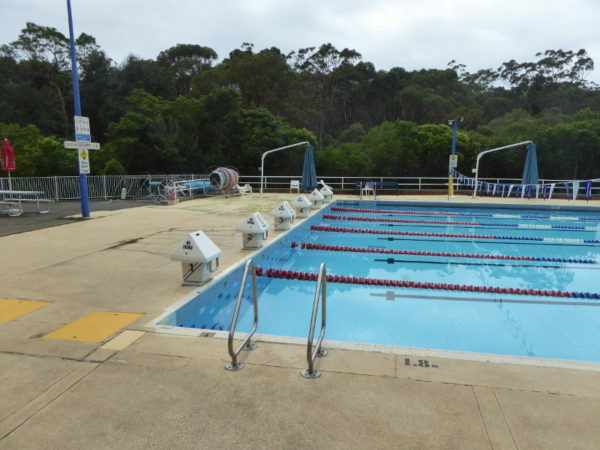 Shellharbour’s Mayor was there to cut the cake and acknowledge the central place of the pool in the local community. Alongside her was Helen, who had taught the Mayor’s kids and probably thousands of others in that very pool over the last 46 years. But Hugh was the guy I enjoyed talking to most on Saturday. He’d been there on the day the pool opened and had brought his 8-year-old grandson for the Oak Flats birthday party. He spoke of the line of trees that used to run alongside the pool length, of the old rim to the pool that people used to use as arm rests until too many of them got their arms stuck, and they were replaced by the new safer design (in one of the pics in the gallery), and of the slippery pool entrance where many an unsuspecting newcomer would come a cropper before even getting into the pool (now also made safer, of course). What a nice event, though! Proof, if any were needed, that swimming pools are still the hub of the community.